Please note that the reception is scheduled to coincide with the College Art Association's 2009 Annual Conference held at the Los Angeles Convention Center. 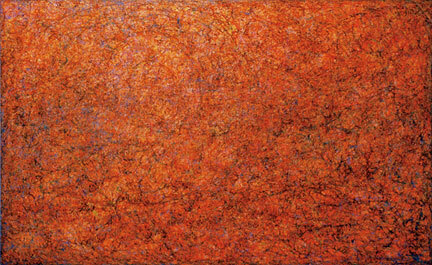 Pharmaka and Bert Green Fine Art will be hosting concurrent receptions for their exhibitions. Photo artist/conceptual artist Jean Ferro challenges the art of 20th century masters and her own creativity. As a student of art history, Ms. Ferro transports her medium into new dimensions, taking the original concept and delving even deeper into her own creative unconscious, to produce something fresh, spontaneous, iconic...and most important...artwork that elevates the soul. Ferro's standards are her own. Her body of self-portrait work began in 1974 and is based on a singular intuitive visual intelligence, sometimes emotional, delightfully playful, or thought provoking social commentary. "Lots of people write about their lives...I visualize my life and transform it into film." The large scale Statue of Liberty B/W, 2009 resonates the "freedom of self expression" theme of Ferro's 1996 Global Liberty exhibit at the Henry P. Rio Bridge Gallery, Los Angeles City Hall. 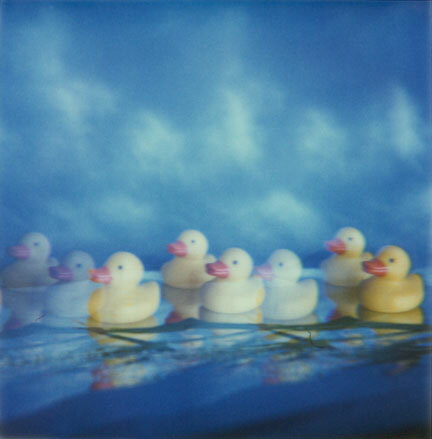 Her alter ego piece, ducks-in-a-row #1 series is a large scale reproduction of the SX70 Series produced for Focus On Aids Charitable auction. Multiple ducks #9 is a digitally photographed image created in 2009. Every year in January Klaus Wachs, founder and president of the World Economic Forum, announces the opening of the Forum's annual conference with the words: welcome to Davos. The conference is populated with elite members who have been selected and invited from the worlds of business, politics and entertainment. They are there, ostensibly, to discuss issues of global importance with respect to improving the quality of life of the world's inhabitants and the ecological systems within which they reside. This project, "Welcome to Davos," strives to portray in a discernible way the seemingly contradictory notions of bottom line economic performance and human benefit. 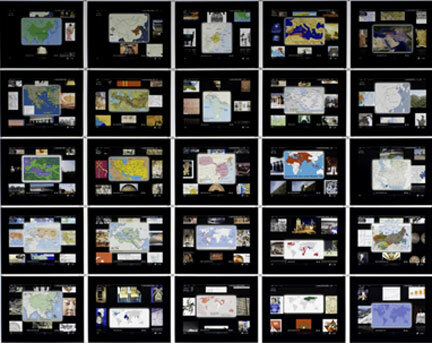 Centered on Davos, Switzerland, where each year the World Economic Forum conference is held, the work projects, as a device, the idea of Davos as the capital of an economic empire, as was Rome its empire's capital.